Cryovial are normally used for storage of Biological material, human & animal cells. 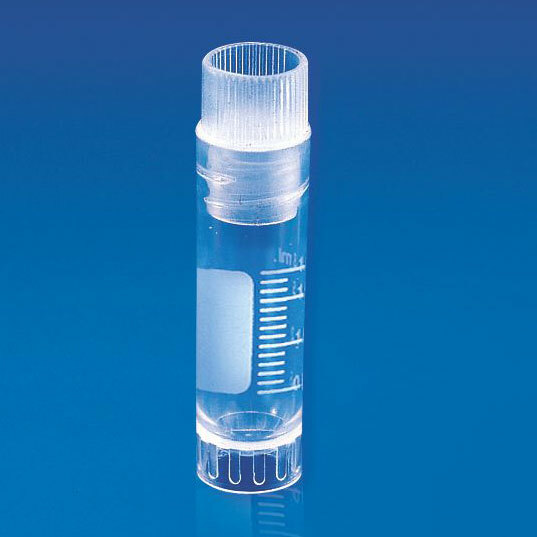 These sterilized tubes are provided with white prominent graduation and a long marking area for sample identification. The cap of these Cryovial is provided with a seal ring inside to make it completely leak proof. The longitudinal grooves in the base give a non-twisting feature to these vials when paced in a cryo rack.